This Cheesy Corned Beef Hash Breakfast Casserole is the perfect breakfast option for this St. Patrick’s Day. This post may contain affiliate links, please read my full disclosure here. Alright, it’s February and I’ve already been thinking about St. Patrick’s Day. Whenever I realize St. Patrick’s Day is among us, I get ready with the mint desserts, corned beef recipes, and lucky charms. I know, there is a lot of history behind the Holiday and I appreciate that…but I really get excited about them turning that river in Chicago green.I know, I’m a little nerdy but green is my favorite color. 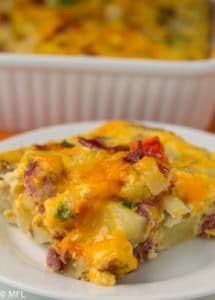 So about this corned beef hash breakfast casserole… I’m a lover of make ahead easy breakfast recipes and this casserole is just that. I like to make it on a meal prep day and eat it for a few days of the week by popping it in the microwave. Of course, that’s only when there are any leftovers. Most of my egg casseroles are meatless but I wanted to get a little creative with this one with the corned beef. Once we tried it, we loved it and I’ve made it this way a few times already. Hope you enjoy this corned beef hash casserole as much as we do. 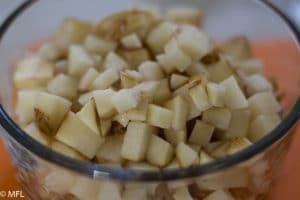 If making this as a make ahead breakfast, just keep it on the fridge and warm it up in the microwave for breakfast. I keep it for 3 days at the most. The corned beef can be substituted by any other deli meat but tis the season for corned beef. 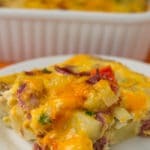 Cheesy Corned Beef Hash Breakfast Casserole. Perfect breakfast casserole. 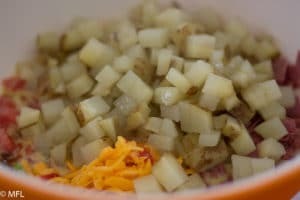 Add potato and 1/4 cup water to a microwave safe bowl. Cover and microwave for 4 minutes or until softened. Whisk eggs and milk in a bowl. 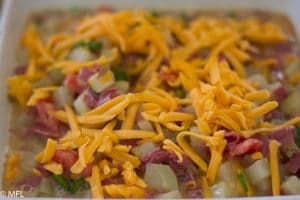 Add corned beef, tomatoes, green onion, hot sauce, paprika, salt, black pepper, and 1/2 cup cheddar cheese. Stir to combine. Place in greased 1.5 qt casserole dish and top with remaining cheese. Bake for 35-40 minutes or until eggs are set and cheese is bubbling. Just wondering if you have attempted this in the Ninja Foodi? Nope, not yet. But now I will. I would just use the bake or air crisp function of the Ninja when I do, no need to pressure cook it. 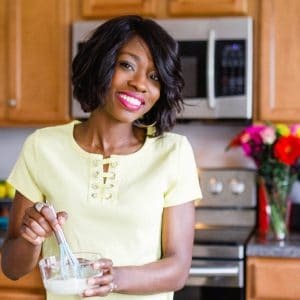 Love the combination of ingredients, Tanya! You gave me a great idea for tomorrow;s breakfast! Yay, I bet that breakfast was so delicious!